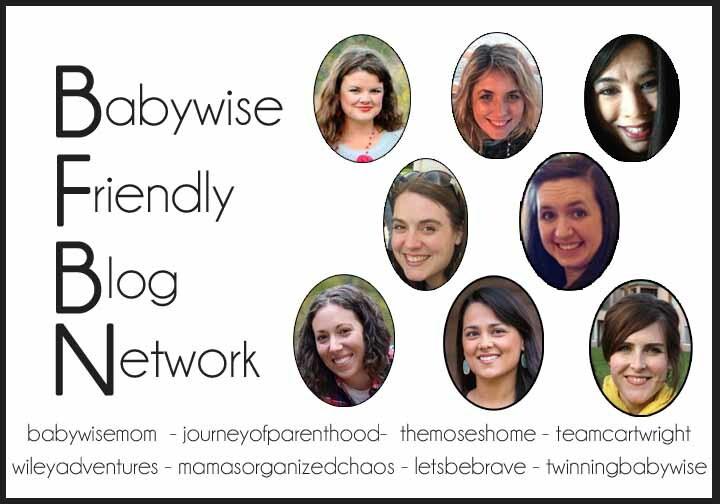 Today is Babywise Friendly Network Day! 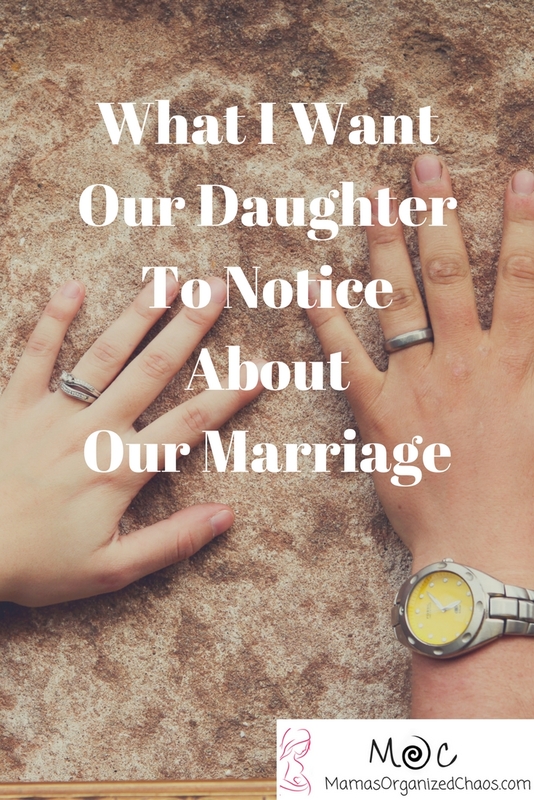 We are all writing on the topic of marriage. Please see below for a full list of links! Now that I am a parent, my perspective of my marriage has changed a bit. And really, I shouldn’t say changed, so much as was put into a new focus. Caroline is going to learn from watching our marriage. 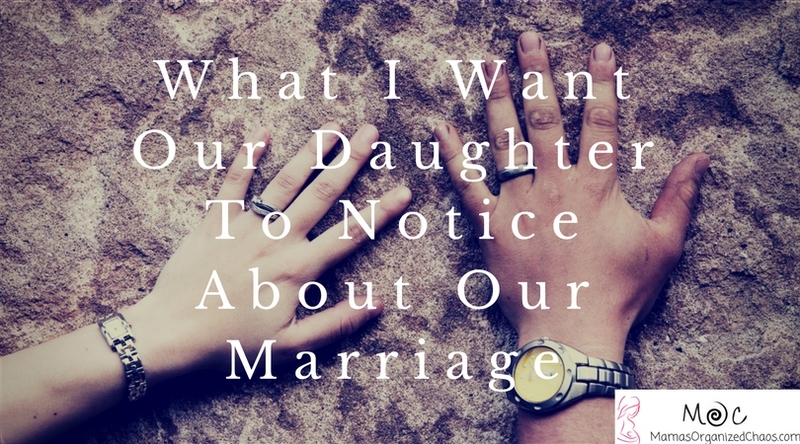 She’s going to learn about relationships, and without even knowing it, she’ll start setting her expectations of her future relationships based on the example we set. I know, I know…she’s 2. But here’s the thing…she’s already showing us her view of our relationship in her pretend play! And it’s fascinating! Caroline has a set of Daniel Tiger characters. It came with the full family: Dad Tiger, Mom Tiger, Daniel Tiger, and Baby Margaret. Caroline talks for each of the characters, has them hold hands, has mom and dad tiger hold baby Margaret, and even has the characters give hugs and kisses. When she had mom and dad tiger kiss each other I was SO happy! Since becoming a mom I’ve worried that we perhaps need to make an effort to show each other affection more often. Here she was, however, clearly showing me that she sees the times that we show each other affection, and that it doesn’t go unnoticed. This observation made my heart fill with happiness. Affection: I want her to see Daddy and I kiss and hug. I want her to see us holding hands. I want her to notice his arm around me, and the way we hold hands in the car. I want her to notice all the subtle ways we show each other affection. Support: I want her to see us supporting one another’s passions. I want her to take notice of how my husband takes an active interest in this blog because he knows it’s something I’m passionate about. I want her to notice that we support his passion for his job. I want her to notice that we go out of our way to visit him during the busy season, and all the little things we try and do to make the season easier on him. I want her to notice how he supports me when I’m not feeling well, and that he makes sure to tell me “we are with you 100%” every single day. Respect: I want her to notice the respect we show one another. I want her to notice that we still take the time to be polite to one another. I want her to notice the respect we have for one another when we are talking with friends and family. Roles/Helping each other: I want her to notice that we don’t stick to our “gender roles”- Daddy can cook and clean, and Mama can help fix things. I want her to notice that we help each other. We both make an effort to go out of our way to do things for the other person. Empathy: I want her to notice that we are in tune with one another and know how the other person is feeling. I want her to notice that we stop to make sure the other person is ok. I want her to notice the little moments that we apologize, offer strength, and do kind things for each other. Team: I want her to notice that we are a team. I want her to notice that we make decisions together. I want her to notice that we enjoy doing things together, and doing things for the other person. I want her to notice that we are on the same page. Communication: I want her to notice that we communicate in a respectful manner. I want her to notice that we agree on so many things. I want her to notice that we disagree. I want her to notice that we resolve conflict through our communication. I want her to notice how we make decisions together. Imperfect: I want her to notice that we are imperfect. I want her to notice that we are real. Happiness: I want her to notice laughter. I want her to notice the happiness that our marriage brings us. 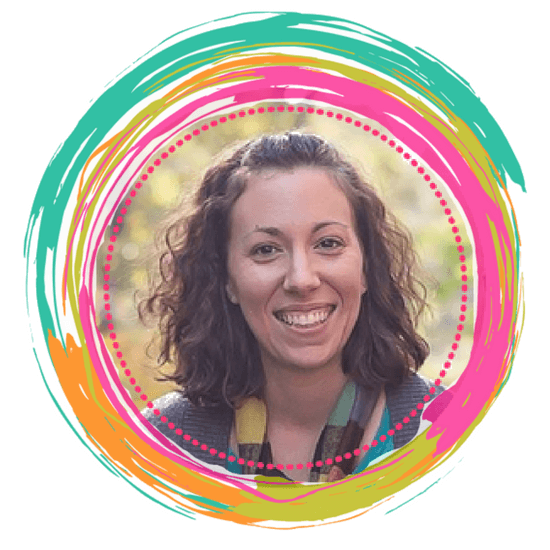 Family: Perhaps above all else, I want her to notice that our marriage made us a family. Our commitment to one another is the foundation of our family. I want her to notice that we put family first. And, I want her to notice the love in our family- the love that started with two people, and grew more than we could ever imagine. I want her to notice.